When we came up with 15 weird Barcelona signings, we were worried for a second that Real Madrid wouldn’t be able to give us as many. Not sure why, mind you – if anything they’re even more inexplicable. As with Barça, we’ve limited this to the 21st century but still had little trouble putting together a list which we’ve ranked, as always, from least to most weird. Or am I thinking of Pablo García? Uruguayan guy. Signed in 2005, barely played and then disappeared forever. Or am I thinking of Carlos Diogo? Uruguayan guy. Signed in 2005, barely played and then disappeared forever. Signed at the age of 16, having already played multiple times for Norway, Ødegaard was presumably the sort of player whose roadmap four years later would either read “first-team regular at Madrid” or “crashed and burned dramatically and no longer even playing football”. The winger turning out to be ‘just some guy who does an okay job in the Eredivisie’ was never part of the plan. Who knows, maybe he’ll even wind up back in Spain for a couple more cup games next season. You’re going to be at a house party and someone’s going to ask you who scored the goal that knocked Atlético Madrid out of the 2014-15 Champions League. You’ll look at them blankly, and after a little while they’ll give you a clue and tell you it was a Real Madrid player. You’ll leave the party without learning it was Javier Hernández, signed on loan less than a week after playing for Manchester United in a 4-0 defeat to MK Dons, because you’re too busy trying to figure out who invited the nerd who asks Champions League trivia questions at parties. Big European clubs trading backup goalkeepers like candy is nothing new, albeit it’s bizarre to push for an international recall by moving to a club where you know you’re almost certain not to play, but there’s a separate, weirder symmetry to the Dudek deal. The Polish goalkeeper joined from Liverpool, where he was barely playing due to the presence of Pepe Reina, in 2007, and to make room for him, Real Madrid parted ways with existing backups Diego López and Kiko Casilla. Then, after the Pole departed in 2011, Madrid were forced to invest in new backups over the next few years. Who did they bring in? Diego López in 2013, followed by Kiko Casilla two years later. The B-team system in Spain can often lead to moves like Varela’s, but we’re really not used to seeing English sides on the other end of things. Varela couldn’t break into David Moyes’ Manchester United team – yeah, we know – and was loaned out by Louis van Gaal almost as soon as he arrived. No huge surprises here, but the strange part is that he was loaned to Real Madrid’s reserves, like a Uruguayan Andy Kellett. Real Madrid Castilla players have occasionally been called up for Champions League action, and while this role is generally filled by academy prospects in their teens, the 21-year-old United loanee was eligible. I think we can all agree it would have been hilarious if he was given minutes in a win over group stage opponents Liverpool that year. Remember when Manchester United were prepared to let Gabriel Heinze leave, only to realise Liverpool might be interested, forcing them to get a megaphone out to shout “no, not to you” in the vague direction of Anfield. What you might not remember is that, when Heinze moved to Real Madrid, there were a few people who thought they’d end up being a buffer club and immediately sell him on to Liverpool. And, to be fair, they had form for being on the other side of this. When Robert Jarni left Real Betis in 1998, they reportedly didn’t want him joining Real Madrid, so let him leave for Coventry… who proceeded to sell him to Real Madrid at a profit before he had played a minute for the club. In fairness, no one would have suspected this sort of thing from Coventry. Yes, that Fabinho. Long before Liverpool, and even a few years before Monaco, the Brazilian was recruited by Real Madrid Castilla on loan from Rio Ave.
That’s the great thing about your reserves being the equivalent of a Championship/League One yo-yo club: there are even more missed opportunities and ‘what if’ signings. Fabinho even got a chance in the first team that season, thrown on by José Mourinho towards the end of a 6-2 victory over Málaga. And people claim Mourinho doesn’t give youngsters a chance. The third and final player on this list to be signed predominantly for the Castilla setup is the one who makes far less sense than the other two. Markkanen was a 23-year-old Finnish striker with one international cap and barely a dozen games outside his homeland when he moved to Madrid – probably the point in your career where you want to be playing regular first-team football. Ah, we’re sure there was probably some sort of plan which we just haven’t figured out yet. When Pedro León popped up with a last-minute Champions League equaliser against a Milan side including Zlatan Ibrahimović and Thiago Silva, you might have been forgiven for assuming this was just another talented kid from the youth setup announcing himself. Not quite. 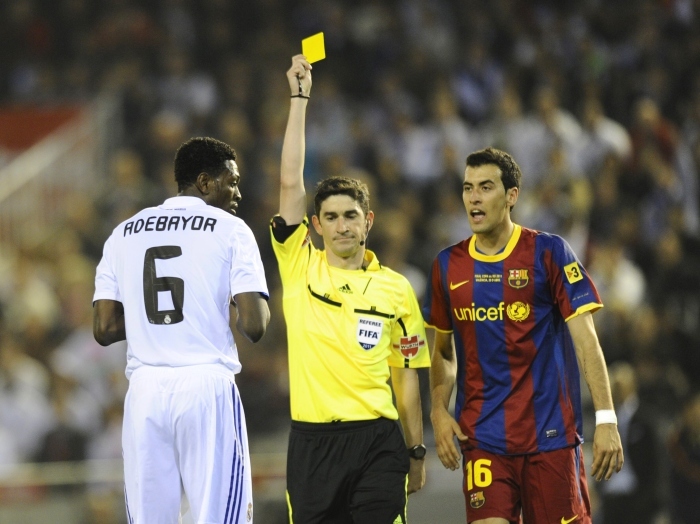 León had already played for four clubs before moving to the Bernabéu and was approaching his 24th birthday. At the end of his first season, Madrid let him go back to Getafe, presumably so they could pretend the whole thing had never happened. We’re not even sure he remembers. Still, eight wins and two draws from 10 appearances isn’t to be sniffed at. We can only assume they were drawn to him by the heel turn of that celebration against Arsenal. It certainly wasn’t anything to do with the one goal he had scored in the half-season before he joined on loan. He was actually pretty good in his six months in Spain, but that’s not what this is about. It’s never been what this is about. When Real Madrid got that big “sign every Dutch player you can think of” memo, no one expected them to have been able to think of Drenthe. Somehow, in a CV featuring Reading, Kayseri Erciyesspor, Alania Vladikavkaz and a two-year career break to focus on his music, Drenthe’s time at Real Madrid remains the strangest bit. Real Madrid signing Woodgate when they did is the equivalent of buying a car with no engine and no wheels and just hoping the replacement parts will eventually show up when you need them. Woodgate was injured when he signed, returned in time to score an own goal and get sent off on his debut months later, and then got injured again. It wasn’t a case of the product breaking easily as soon as you drove it out of the dealership – it was already broken when you picked it up, and you thought blowing on it would somehow do the trick. Real Madrid aren’t supposed to sign players for £5million. They can have world record signings and freebies, but anything in the middle just seems suspicious. No one’s here for them to operate like a normal, sensible football club, signing once-great players who have hit a wall, just because they can get them on the cheap. Who do they think they are? Crystal Palace? In retrospect, we should have known Mourinho’s final Real Madrid season was the beginning of the end. The point at which, instead of looking for fresh talent, he just signed people who were good four years earlier. I don’t think enough people talk about Mourinho saying of Essien: “He’s not my player, he’s my son – I’m his white daddy”. Every day that passes without mention of the incident feels like a day wasted, if we’re being honest. 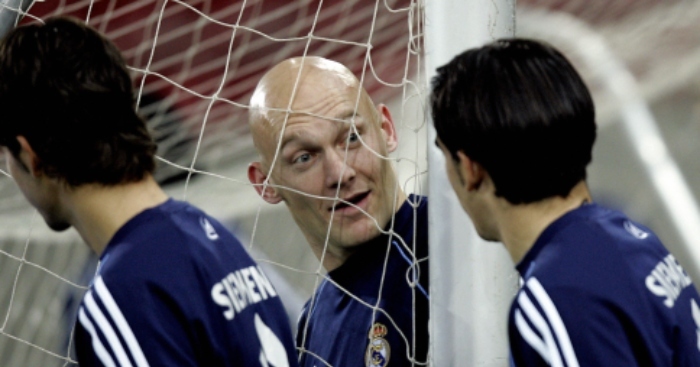 The only thing better than Real Madrid signing Thomas Gravesen from Everton is that they signed the box-to-box man as a holding midfielder, suggesting they might have actually meant to sign Lee Carsley. We wonder if it was the same balding-blindness which led to them appointing Rafa Benitez as manager in 2015 instead of making an ambitious move for Pep Guardiola. 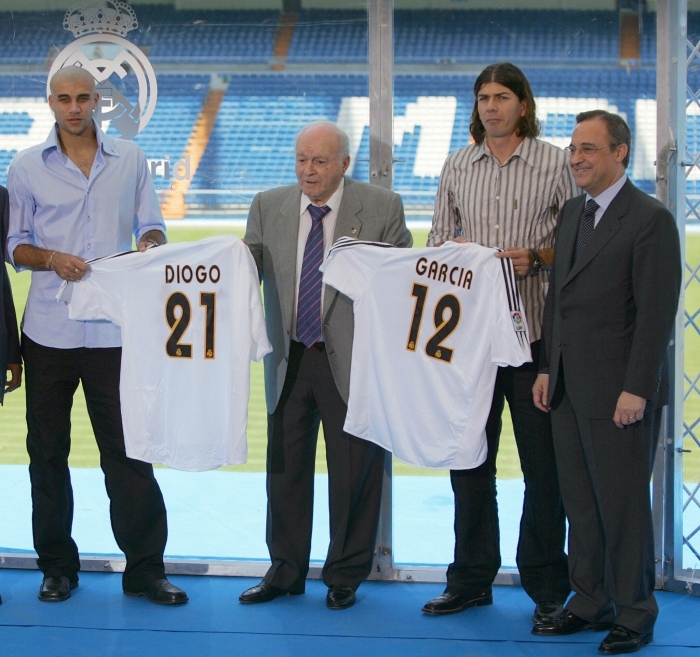 It’s impossible to find a photo of Julien Faubert from his time at Real Madrid where someone doesn’t look confused. Either Faubert for being there, Alfredo Di Stefano with his “who’s this guy?” full body shrug at the Frenchman’s unveiling, or every single one of his team-mates. This is a man who was a backup to Lucas Neill at West Ham, and then suddenly wound up, asleep, on the Real Madrid bench. The whole thing felt like a five-month record scratch and freeze frame, with the former Bordeaux man contemplating how any of this had come to pass.